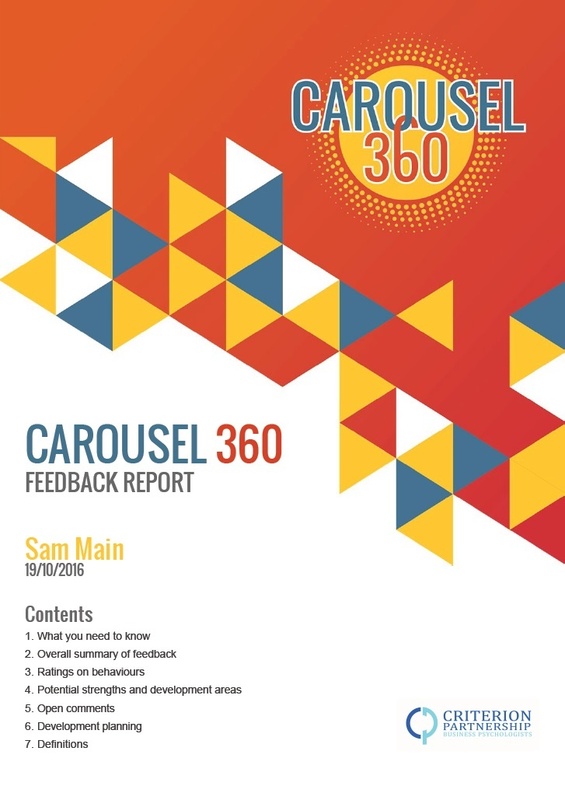 Carousel is our versatile 360 feedback platform which allows you to tailor-make your own feedback process. Our intuitive platform enables individuals to collect meaningful feedback from their colleagues on their performance across competencies that are crucial to their role. Choose from the competencies contained within the Criterion Competency Framework for Leaders and Managers, or build your own survey to reflect your organisational values and job specifications. A range of question formats help to bring the competencies to life by offering a multi-level feedback experience. 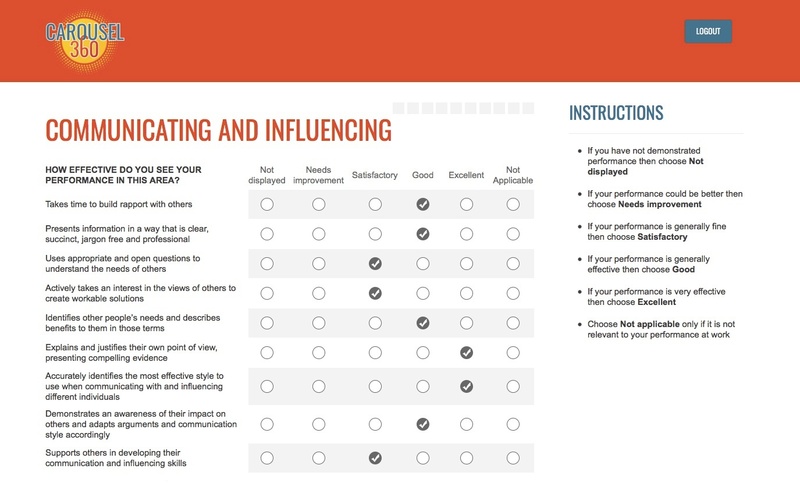 Surveys can include a combination of rating scales, open-ended questions and an interactive strengths tool. What’s more, you can then benefit from a deeper insight into employee performance explored across dimensions. Set up your own 360 process in just 3 simple steps: Specify your performance indicators; design your 360 process and invite your recipients. Once up and running, you can monitor completions and download reports in real-time. Conduct large-scale feedback processes with ease by allowing recipients to manage their own 360 process. 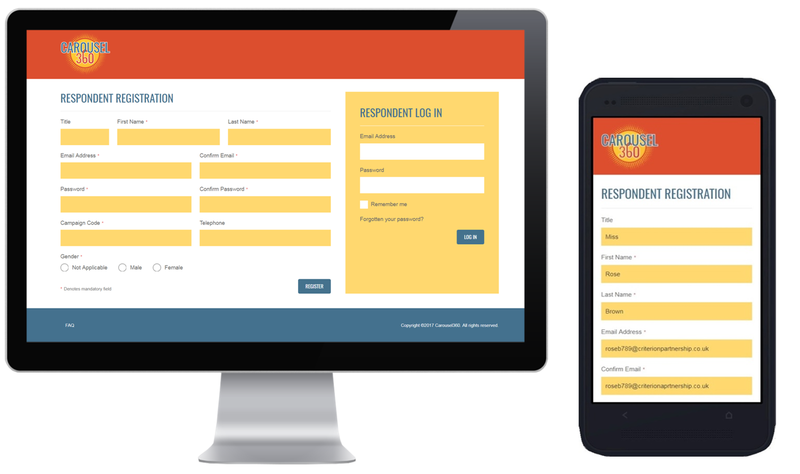 Encourage accountability and engagement with interactive survey options which enable the 360 recipient to ask for specific feedback. 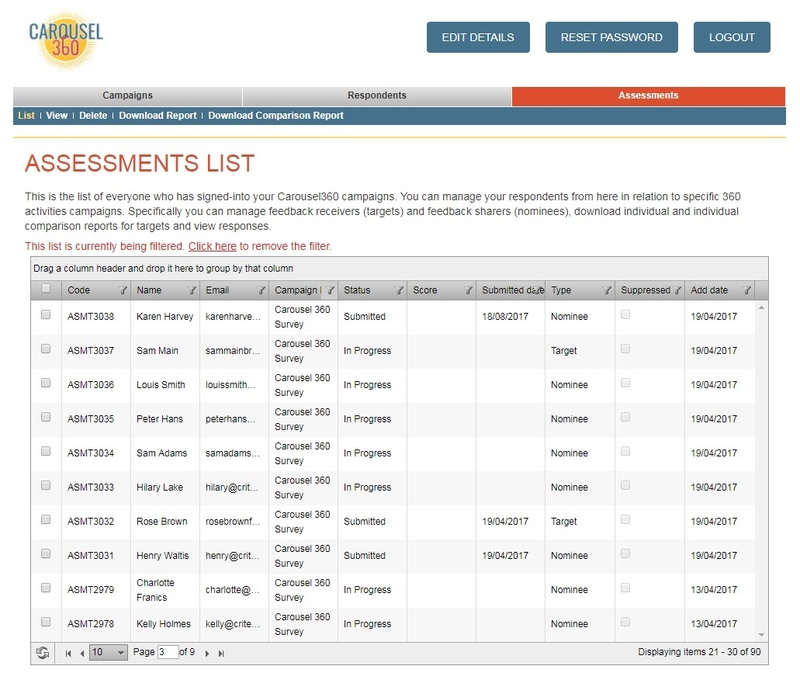 Create your own 360 survey using your own performance indicators and internal framework. Tailor the language to suit your organisational culture. Our easy-to-use feedback reports have been specifically designed for identifying strengths and performance trends for development planning. Reports use attractive visuals to present the feedback collected in a way that easily accessible. 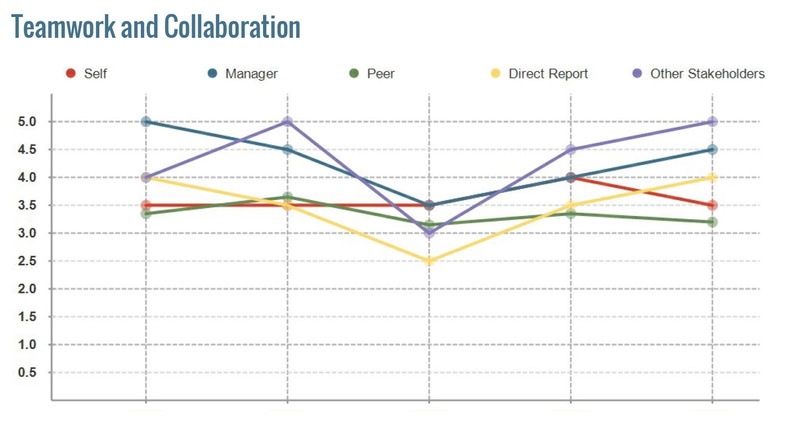 Identify trends in employee performance across departments, work groups, or over time. Gain useful insights that can help inform your organisation’s strategy in terms of development planning. 360 feedback provides a holistic view of employee’s performance by gathering feedback from a range of sources. This typically includes the employee’s manager, peers, direct reports and any other key stakeholders. Our 360 feedback reports help us to offer a richer, more representative picture of performance than supervisor feedback can provide on its own. 360 feedback generally adopts a questionnaire format, in which feedback providers are asked to rate the employee against a number of behavioural indicators. Behavioural indicators are chosen to measure the key competencies required for effective performance on the job. Questions may adopt a rating or open ended format. The same questions are given to all respondents and all individual responses are anonymous, ensuring the collection of honest and confidential feedback. How is 360 Feedback Used? 360 feedback is typically used as a training and development tool that can help organisations improve their employees overall performance. Many organisations find that 360 feedback is a great way of empowering and engaging employees as it offers a sense of self-management and control. Individuals taking part nominate who they want to provide feedback, often after discussion with their line manager. They also have the opportunity to give their own views about their performance which they can compare with other feedback given. This helps individuals to identify where they can adjust behaviour or develop skills, as well as enabling them to reflect on areas of strength. 360 feedback can be a valuable tool for directing and enhancing employee performance appraisal conversations between an employee and their line manager. More specifically, 360 may be used for goal setting, by helping identify specific and measurable goals. At an organisational level, 360 feedback can offer insight into workplace trends, training needs, whilst enabling comparisons to be made between employee groups. This can help inform culture change initiatives, engagement strategy and succession planning.